If you are among the geeky ones, I’m sure you’ve tried to look at the processes in the task manager that eat up your CPU and Memory. And if you haven’t it is a good trick to identify the horrid applications when your computer starts slowing down. Try killing the process that is eating up a lot of memory and it will help ease a lot of burden off the machine. If you dig deeper this is the RAM that the app is killing. Precisely people have started calling Chrome, the RAM killer. Personally, yes it is true. If you open 30-40 tabs in Chrome like I do most of the time or even a good 15-20 also your computer is going to slow down and it is evident on the processes when you open your task manager. I tried that too, yes! I switched over to Firefox and Opera, even tried Safari but the kind of the habit that I have, atleast 20 tabs at once there is no use. 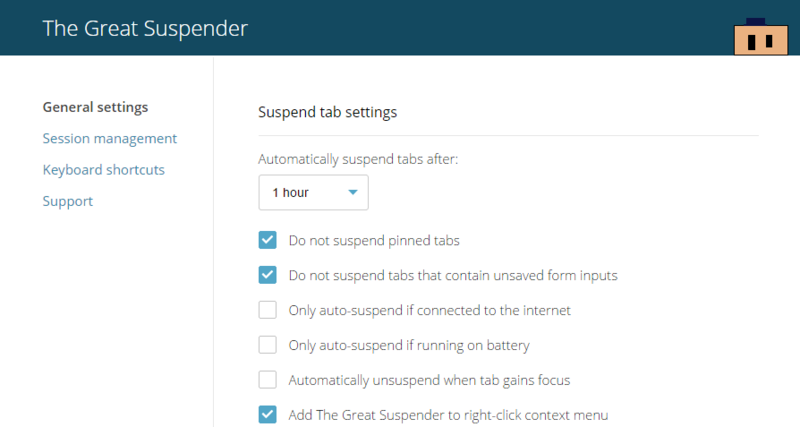 Then I came across this chrome extension called The Great Suspender which is very easy to use and solves the purpose. You just need to download and install this extension from the above link in Chrome and you are pretty much done. 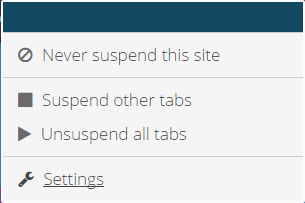 Once installed, you can manually suspend a tab or go the settings and set the time limit and preferences according to which tabs will be suspended. Now suspending tabs lets them be there but kind of makes them sleep right like they were. Once you switch to that tab again, it will wake up just where it slept. Now this is a little more load on your internet connection but will be very easy on the RAM because of Chrome. There is also a whitelist of applications which will not be suspended. There are the simple hotkeys also which you can remap too according to your wishes and there is a simple hotkey Ctrl+Shift+S to manually suspend a tab. Law and Technology Shake Hands !